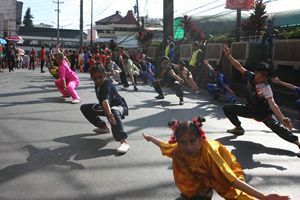 On 6th Feb, the streets in Baguio City were full of festive atmosphere with plenty of Chinese traditional decorations. On the invitation of Hon. 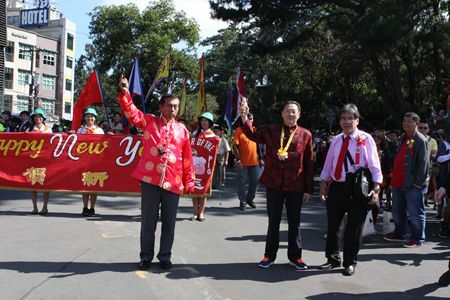 Mayor Domogan of Baguio, Consul and Head of Post to Laoag Zhou Youbin attended the 2019 Official Chinese New Year Celebrations successfully held by the City Government and Filipino- Chinese associations in Baguio. The Grand Colorful Parade started at 2:30 pm. As the Guest of Honor, Consul Zhou fired the starting gun together with Hon. 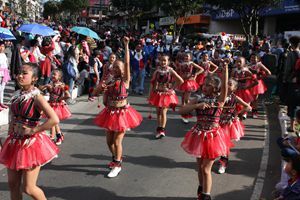 Mayor Domogan, led the long parade team, and scattered the new year candies and goodies to the thousands upon thousands of residents and tourists lined on both sides of the main streets. 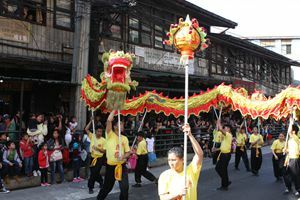 The whole parade was composed of 83 units’ participants, who presented a variety of programs, including not only Chinese traditional Dragon and Lion Dance, Kongfu, classical costume show, but also Miss Baguio and Filipino dances. 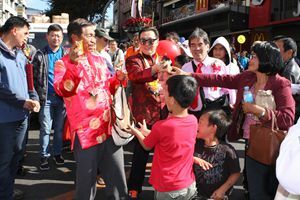 People greeted each other for the Chinese New Year with cheers and happiness. In the evening, Consul Zhou was invited as the Speaker of Honor in the gala dinner party. He extended the New Pig Year wishes to all, and briefed the development of China and China- Philippines bilateral relations in the past year. 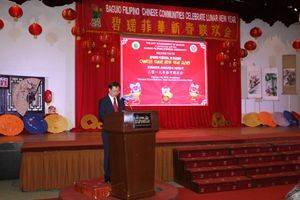 Consul Zhou highly commended the efforts made by the city government of Baguio and the various Chinese community associations in promoting the mutual understanding and friendship between peoples of two countries. 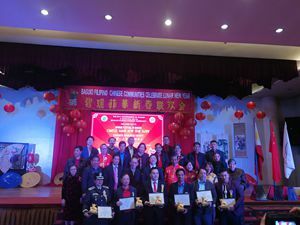 During the dinner, six winners were awarded prizes for their outstanding contribution to the Baguio city in 2018.